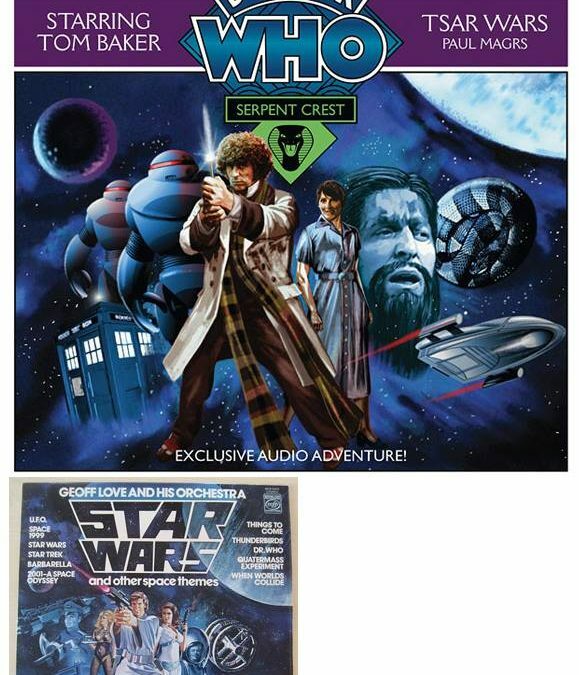 This is the first time I’ve seen this Big Finish audio cover with the lettering and graphics. The Story was called “Tsar Wars”, by Paul Magrs, so we decided to *homage* the 1970’s cover for Geoff Love’s seminal “Star Wars (and Other Space Themes) album. The original art for this is a masterpiece of not-quite copyright infringement.